I’ve held out long enough. I am going to burst if I don’t mention the C-word. Christmas!!! It’s coming – next month! Time to get the thinking cap on for creative and thoughtful gifts for your loved ones. A spot of inspiration came my way when Digital Scribe contacted me to let me know about their new personalised Christmas books and asked if I wanted to check them out. Of course I had the agonising decision to pick a child for which the personalised book would be made. I decided to pick my baby girl as she is only really beginning to understand the joy of Christmas and I thought she would get the most mileage out of it. However, I was able to get my other two kids featured in the book as during the personalisation process you can pick friends or siblings to include in the story. After providing some personal details about my little lady the book arrived very promptly along with a letter from Santa. The letter from Santa was really lovely and also personalised. A lovely touch. 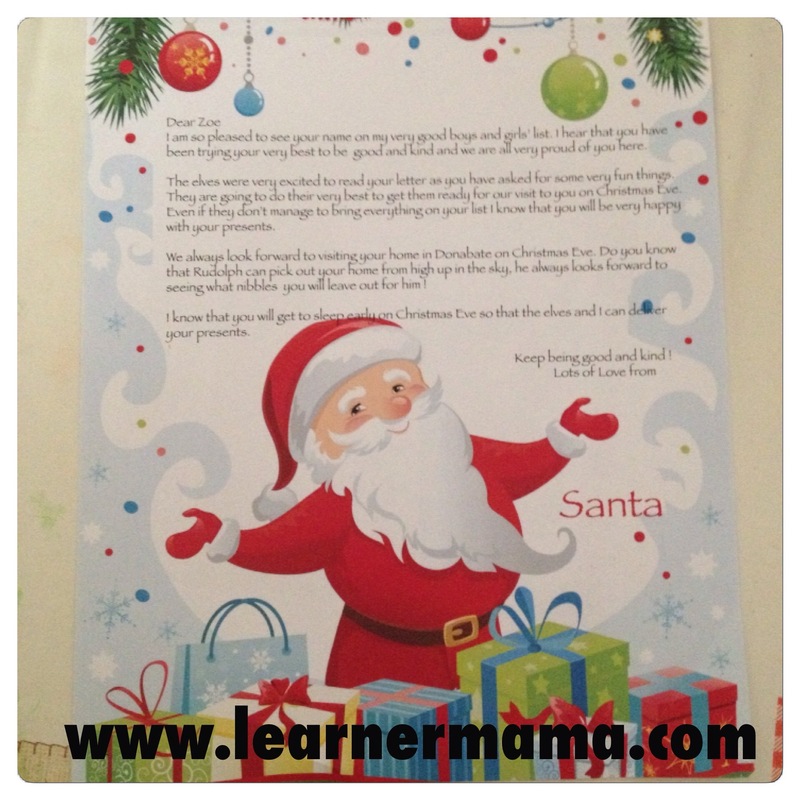 I sat down with my little girl to read her very own Christmas adventure story. 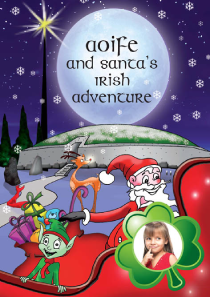 The story features the chosen child, Finbar the elf and of course the big man himself, Santa. Santa goes missing on Christmas Eve and it is up to Finbar and the featured child to find him and save Christmas. The book includes mention of some key attractions around the country in the search for Santa such as the Cliffs of Moher, Blarney Castle and Phoenix Park which I thought was lovely. My little lady really enjoyed the story and to see the amazement that it featured her and her home town was really special. She took great delight telling Daddy how she helped to find Santa. From my own point of view I think it is a really lovely story and very well personalised. If I am to be in any way critical I admit to being a little disappointed that the book cover was not a little more sturdy – perhaps a hardback cover would be more suitable, particularly with the €15.99 price tag. Overall though it would certainly make a lovely gift and indeed keepsake for your children or, even better, given the Irish adventure theme, a young family member who lives abroad. The lovely people in Digital Scribe have given me an extra copy to giveaway. If you would like to win a copy, which can be personalised for whomever you want, just complete the Rafflecopter form. Winner will be chosen at random by random.org after the competition closes. They will be asked to provide personal details of the child they want the book personalised for (Name, age, home town, siblings/friends and a photo). If you are not lucky enough to win a copy you can order one in time for Christmas via the Digital Scribe website. Check them out on Facebook too. 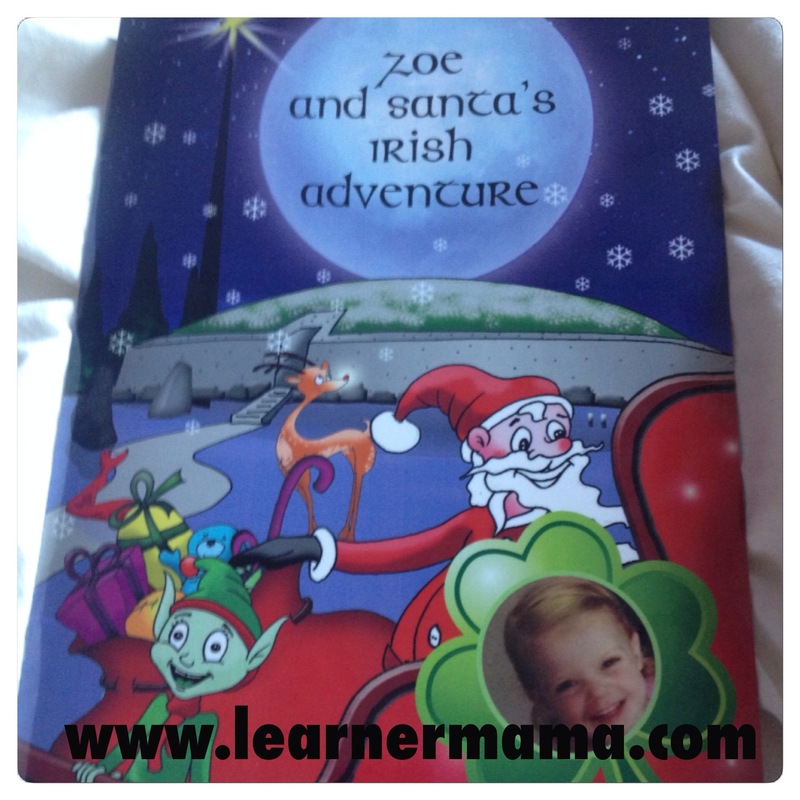 Disclaimer: I was provided with a copy of a personalised Christmas book for my daughter for the purposes of review and an additional copy to giveaway. I was not otherwise paid for this post. All opinions are my own. Lovely gift, would be perfect for my Thomas’ first Christmas! This would be amazing for my little girl, she just loves reading and to read a story about her would make her day, ???? I’d love this for my little niece. Her mum, my sister, is definitely passing on her love of Christmas to her and this would make her day! And the Beltlock winner is…..